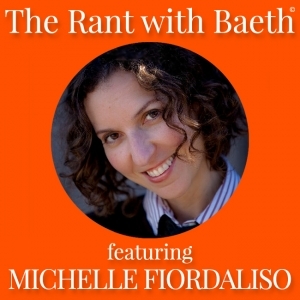 My guest today, Michelle Fiordaliso, is an executive coach and award-winning writer and filmmaker. 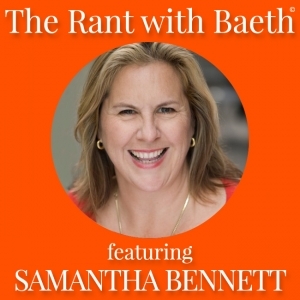 She is the co-author of Everything You Always Wanted to Know About Ex and has appeared as a relationship expert on Today, Tyra and Oprah Radio. Michelle’s writing has been published in The Huffington Post, Self and The New York Times, and she has coached c-suite executives at companies including Converse, A&E and Uber. She holds a Master of Clinical Social Work and Psychotherapy from NYU. Listen in as we talk about the divine masculine and the divine feminine, your screen addiction and what to do about it, being a single mother, psychedelic drugs and more on today’s show. Can a man truly open his heart without losing his balls? 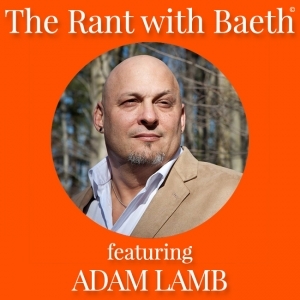 We explore that question with my guest today, Adam Lamb. Adam is The MANifesto Man, an international best-selling author and relationship guide for men, assisting them to get their balls back and reconnect with their authentic masculine power. He hosts a weekly live video show, ‘The Morning MANifesto’ on YouTube and Facebook, as well as a monthly podcast, ‘MANifesto Radio’. Adam’s published works include Getting Comfortable with Being Uncomfortable, Profanity & Its Proper Use, and An Initiated Man, Finally. His newest work, ‘Circle Jerk: Lessons of Manhood My Father Never Taught Me’ is due out summer of 2019. Listen in to today’s show to hear more about Adam Lamb’s story, how men can be transformed, and the importance of doing your inner work. 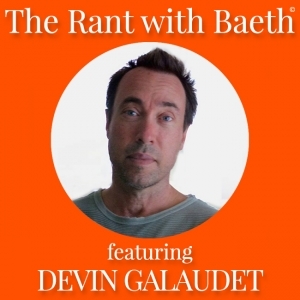 https://baeth.com/wp-content/uploads/2018/08/Adam-Lamb-Episode-Art-The-Rant-with-Baeth-1.jpg 650 650 Baeth Davis https://baeth.com/wp-content/uploads/2019/02/Baeth-logo-2019-a.png Baeth Davis2018-08-23 04:00:392018-08-23 16:50:4055 Adam Lamb - Can a Man Open His Heart without Losing His Balls? 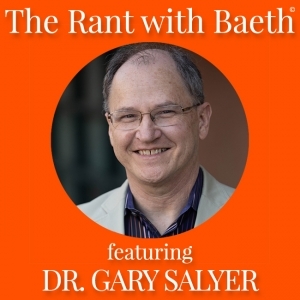 Today we talk all about romantic relationships and attachment styles with my guest, Dr. Gary Salyer. Gary speaks to audiences across the country as a featured expert and inspirational speaker on how to create the love we all deserve. He is an expert in Attachment Theory, the science of relationships, Bert Hellinger’s Family Systems approach and Neuro‐Linguistic Programming (NLP). As a master transformational relationship coach, Dr. Gary helps people re‐write the rules for love in their brains. 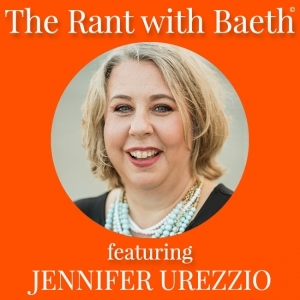 Listen in as we talk about attachment styles, finding the right partner, releasing old pain, developing a secure attachment style and more on today’s show. 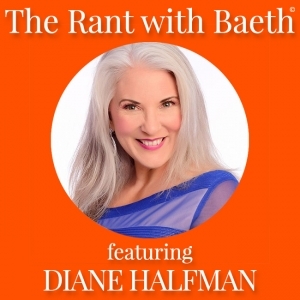 My guest today, Diane Conklin, helps you get stuff done. 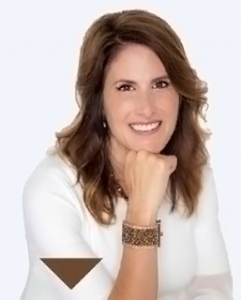 As an implementation specialist, internationally known author, entrepreneur, coach, consultant, and marketing and business strategist, Diane is the founder of the founder of Complete Marketing Systems. She has been involved in numerous campaigns grossing over $1,000,000.00 several times in her career and routinely helps people grow businesses to 6 figures, and beyond, in short periods of time, several times in as little as 90 days. 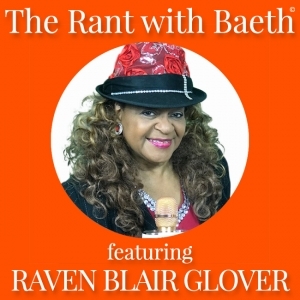 Tune in to today’s show we talk about all things ranging from marketing, social media, Roseanne Barr, rumors, and beyond. 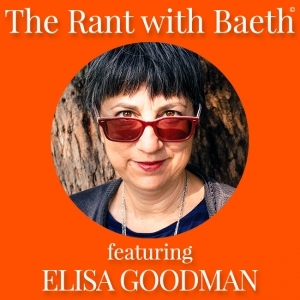 Today Elisa Goodman joins me on the show to talk about dealing with grief and transforming it through creativity. For the last 18 years, Elisa Goodman has been expressing herself as a Visual Artist — through the medium of Collage, as a Digital Illustrator and as an Author. Prior to that, she was a casting director in Los Angeles for 20 years — working on a variety of Indie film and TV projects for Lifetime, NBC, Hearst, and Paramount & Fox. Her joy was discovering talented actors. Elisa is the creator of the her “I’M SKEWED COLLECTION” has over 250 illustrations which she offers as greeting cards, posters, magnets, a yearly calendar and (2) books. Her quirky, offbeat, Tell-it-Like-it-is stories may resonate like “Chicken Soup for the Soul/“Super Soul Sunday” with a little Carrie Fisher/Seinfeld snark peppered in. You’ll love Elisa’s humor and amazing creativity on today’s show.